All in all, not bad. Sea, sand and sky, the company of people you enjoy and a bit of fresh produce thrown in for free. What's not to like? I love your view and would find it inspiring. Hum, I need to work on finding a similar place to take the drudgery out of exercise. So fresh and pretty! 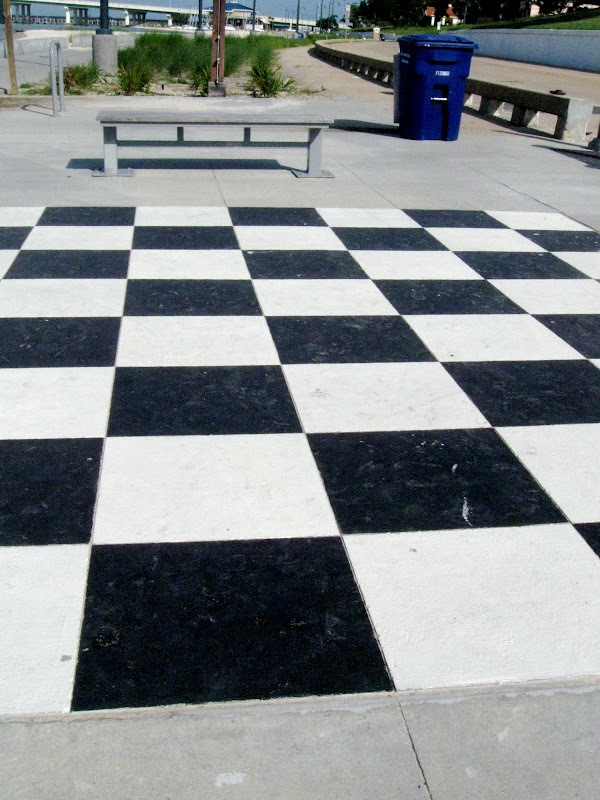 Is that a checkerboard boardwalk? I'm so glad that you were able to get back into this activity, and I hope your toe continues to heal. What a lovely place to exercise! The checkerboard is interesting, does it have a purpose? I'm sure those home grown veggies were delicious! We've yet to have a ripe tomato...perhaps next week. What an excellent therapist Ann is! Please send her here! Lol. The beautiful scenery always helps. 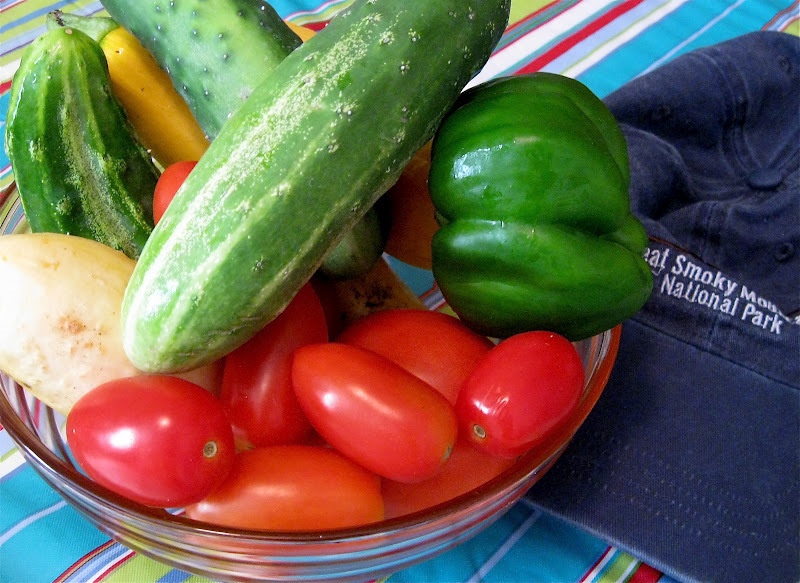 Friends, a walk along the beach, sunshine, fresh veggies . . . all nurturing treats - that many of us take for granted! Love that beautiful causseway bridge to an island? 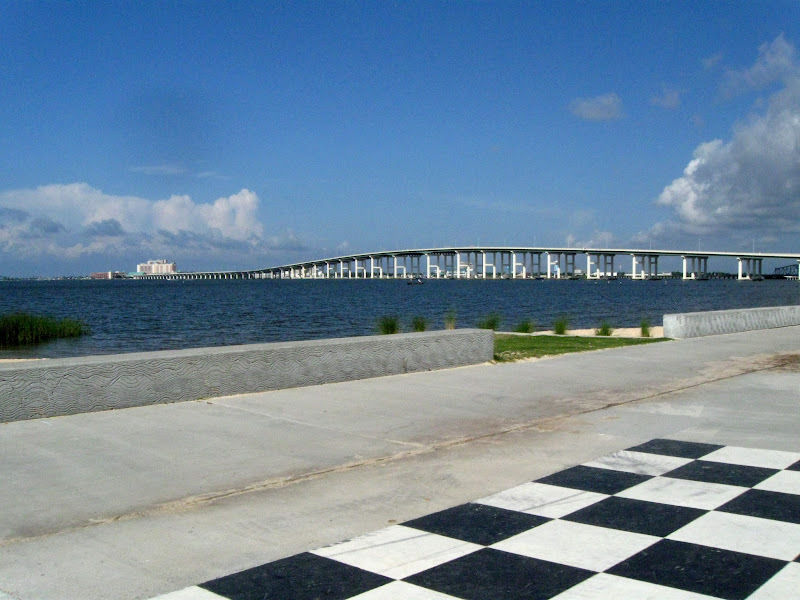 Reminds me of the Tampa Bay causeway or Key West. I assume that your causeway was reconstructed after the hurricane? How nice you can get out and walk again after your foot surgery. As for IPAD. My granddaughter bought the App for Kindle and uses it on her screen, but too small for me. Love my Kindle. You truly have a beautiful place to do your walking therapy. I'm so happy to hear the entire experience was one of joy and revival for you. I am way behind in reading blogs. I will never catch up! Just wanted to check in and see how you are getting along. Take care.